They aren't flashy, but they have the CPU and GPU power you need. 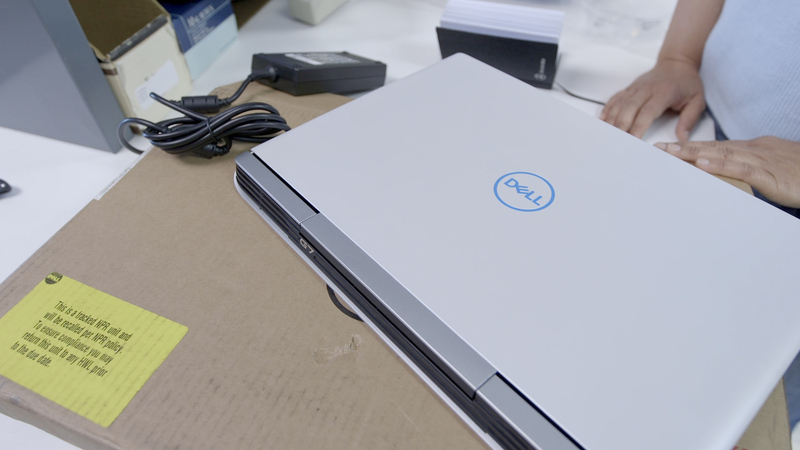 We just unboxed two of Dell's G series gaming laptops, and they show how much you can get even on a shoestring budget. With prices starting at $749, what these laptops lack in flash, they make up for by focusing on what matters: a solid CPU, a discrete GPU, and designs that are convenient and portable. The G3 15 laptop is an $849 configuration with an Intel Core i5-8300H CPU and 8GB of RAM, an Nvidia GTX 1050Ti GPU, and a 15.6-inch, 1920x1080 display with IPS technology. Storage includes a 128GB SSD and a 1TB 5,400rpm HDD. Its all-plastic, "Recon Blue" chassis is attractive, but it doesn't shout "gamer." The G7 15 stands out more, if only because of its Alpine White color scheme, but there's plenty to talk about under the hood. Our $1,200 configuration includes a Core i7-8750H CPU, a six-core Coffee Lake powerhouse. (And if that's not enough for you, it can be upgraded to the Core i9-8950HK overclockable processor. We just looked at that in the Alienware 17 R5 laptop, and it's face-meltingly fast.) The CPU is supported by 16GB of RAM, and storage includes a 128GB SSD and a 1TB HDD, like its G3 15 cousin. The 15.6-inch, 1920x1080 display is standard, and a 3840x2160 display is optional. The discrete GPU is an Nvidia GTX 1060 with Max-Q, a system that manages the power and thermal needs of a GPU so it can fit into a thinner laptop without technical or human discomfort. In our tests, you lose a little speed compared to the full-fat GPU, but you gain a lot in portability. We covered all of Dell's G series laptops when they were announced and look forward to reviewing these models to see what they can do.